Soft, rounded shape for carrying your canoe by the gunwales. Low height and rounded edges make loading and unloading gentle and easy. Heavy Duty Straps with padded buckles included. 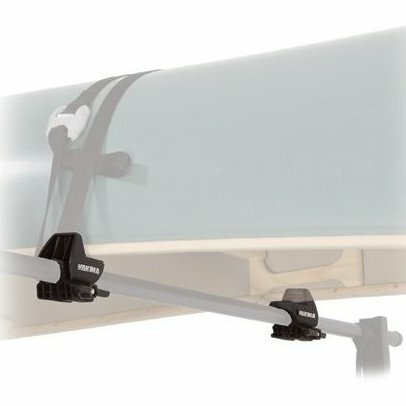 Requires Bow and Stern Tie Down Straps (sold separately) for complete boat stability. Latest Technical Development.